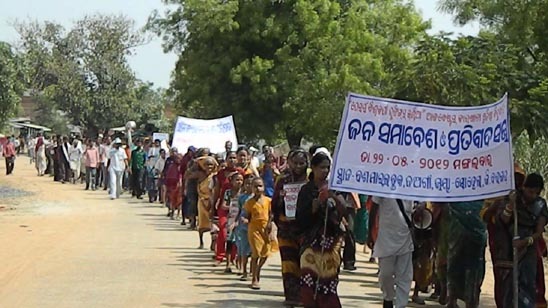 On Tuesday (May 22, 2012) 500 Indian villagers in Odisha, India's 9th largest state, mounted a highly visible march and demonstration against plans by Vishwakarma Asbestos Ltd. to build an asbestos factory in the Sohella area of Bargarh district. 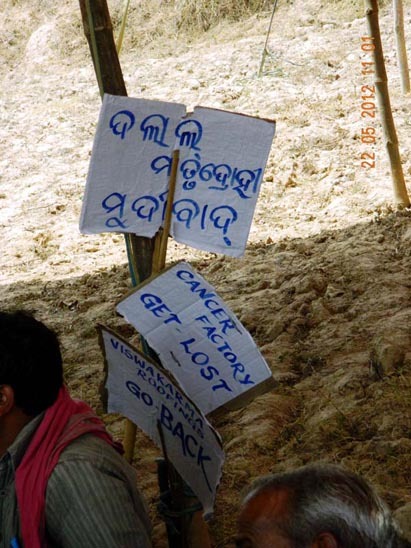 Despite strong resistance expressed by local people during a public hearing in September 2011 and continued opposition to the cancer factory, no attempt has been made by the government or the district administrators to block the controversial commercial development in a densely populated area within a 2 km radius of 10 villages. As a warning to the company and to its government supporters, protestors went to the factory site on Tuesday and demolished barbed wire fencing, poles and a temporary wooden hut. As well as concerns about the deadly consequences of bringing asbestos into the community and the occupational and environmental pollution which will be caused, there is disquiet over the likelihood of Vishwakarma's use of water, a precious natural resource needed by villagers for the agriculture upon which the area is reliant. 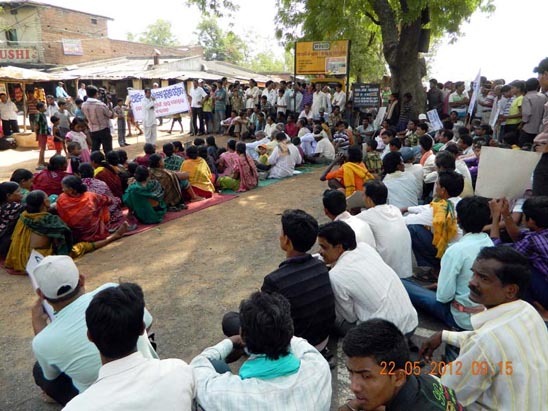 1 Patra A. India: Protests against proposed asbestos cement roofing sheet factory. May 22, 2012.